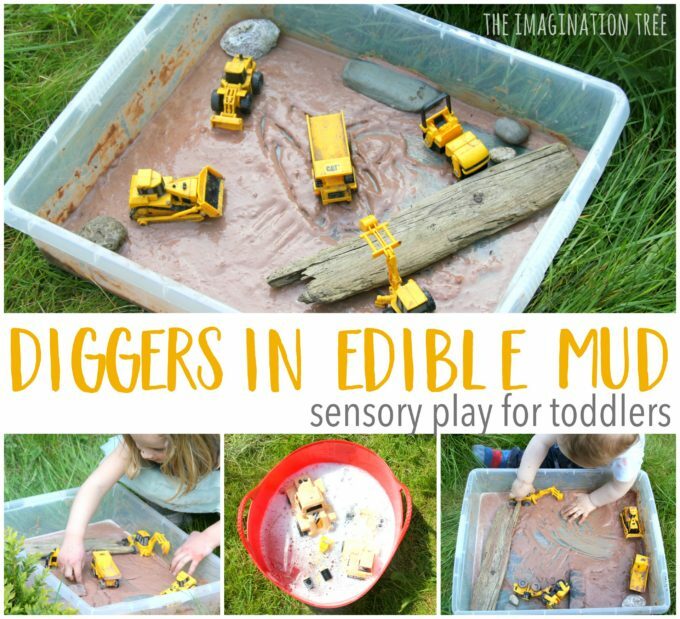 Make a super fun invitation to play for toddlers and preschoolers with this diggers in edible mud sensory tray! Perfect for even the littlest hands and mouths to explore and a great first sensory tub for vehicle lovers. 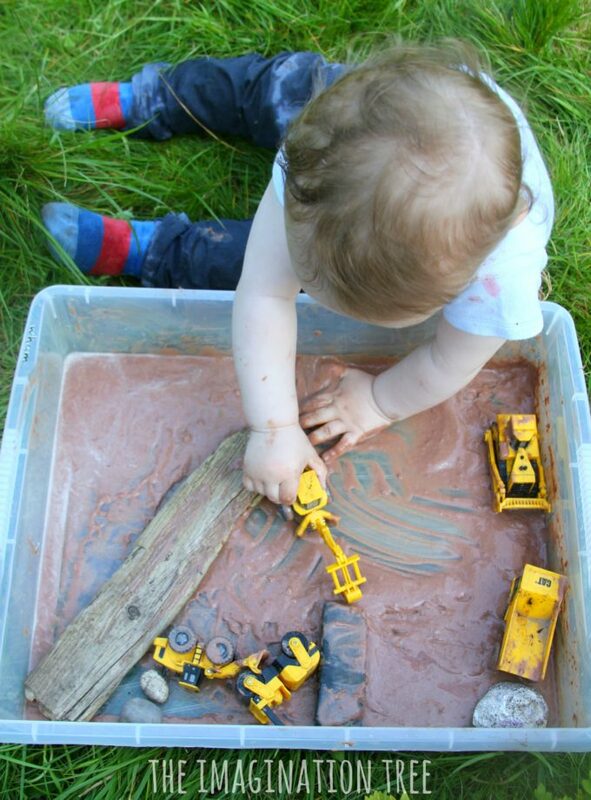 We had such fun with the edible sensory play farmyard that we used the same method to make some more tasty mud for play! Simple mix up two packets of chocolate pudding mix (we used Angel Delight) with milk or water and add it to an empty tub. You can add more liquid to make it the exact consistency you want as it’s not essential to follow the recipe precisely. 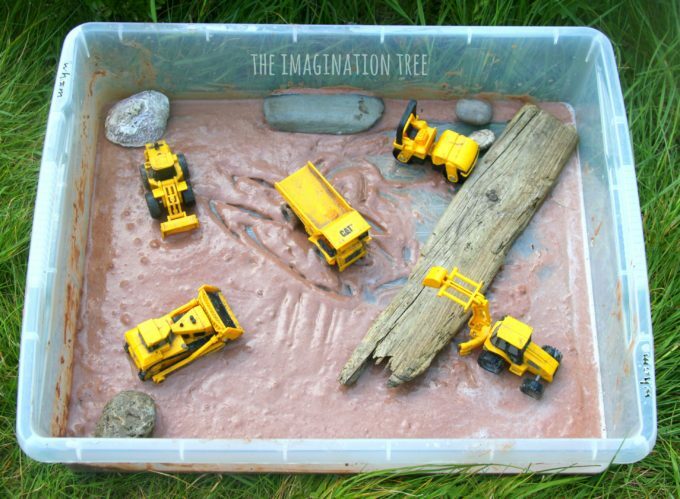 This time we added the diggers (this is our absolute favourite set and the ones we used in the gravel pit too) and some natural elements such as large pebbles and smooth driftwood. Then we simply set it out to discover and play with out in the garden. It would work perfectly well indoors too but you may wish to put it in a deeper sensory table or over a drop cloth. Smaller children will love just to play, taste and explore. 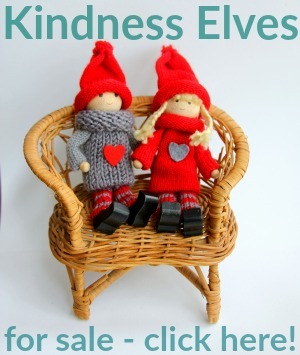 Older kids may make up stories and imaginative play scenarios, adding figures too. This scene is a great accompaniment for some of these brilliant digger stories which we recommend! 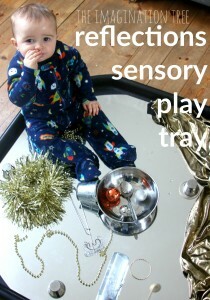 Read them, then use the sensory tub to re-tell them through play, turning it into a literacy rich activity. Those diggers became delightfully chocolaty so it was necessary to give them a good wash off before dipping them back into the mud again! They love washing every and anything, so these got a great scrub and dunk before being driven through the mud all over again. 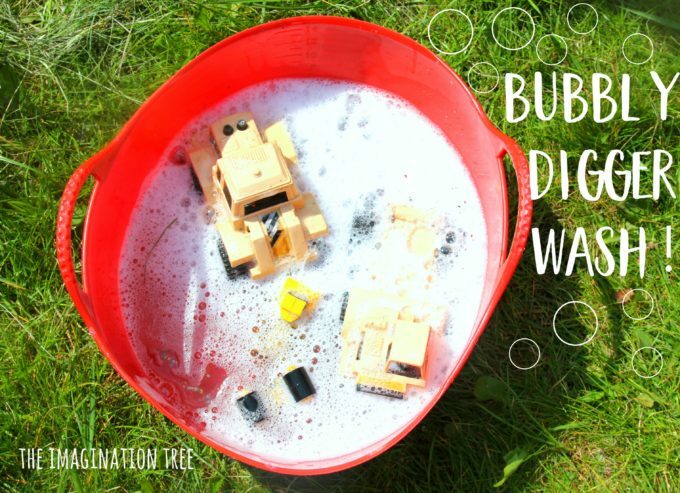 Washing toys, baby dolls, cars and balls in soapy water is a wonderful sensory activity all of its own and probably one that we come back to the most often on warm days! 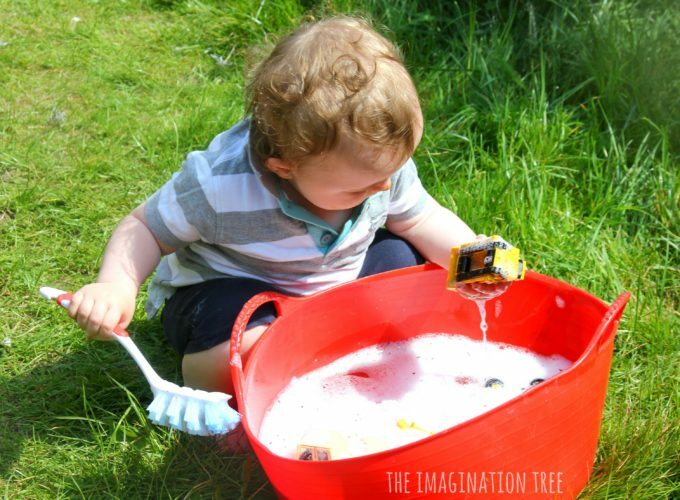 Add to the play, turn it into car wash or clean down the bikes, make it imaginative by making a hair salon or baby care station; there are so many ways to extend the playtime fun. 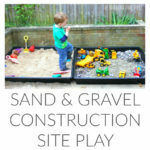 We have LOTS more fun ideas for TODDLER PLAY here that are safe and easy to set up. Check them out and pin your favourites for future reference! 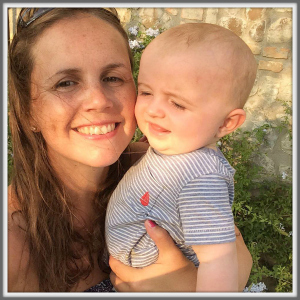 See our BABY PLAY ideas here too for loads of easy DIY toys and discovery baskets to make. 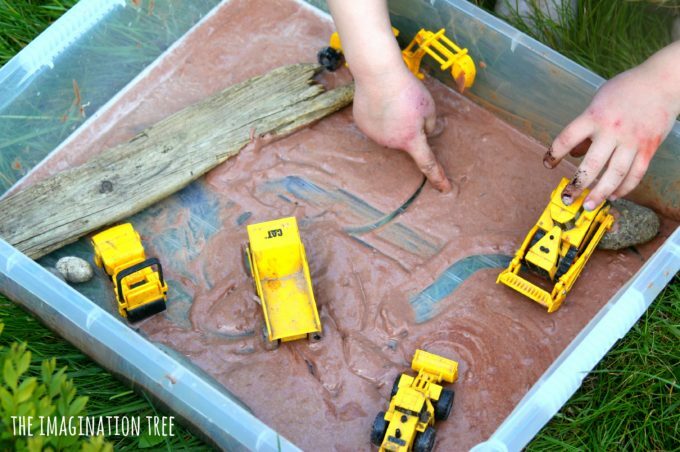 You may like our diggers in REAL mud play too, it was extra good fun at the tuff spot table! 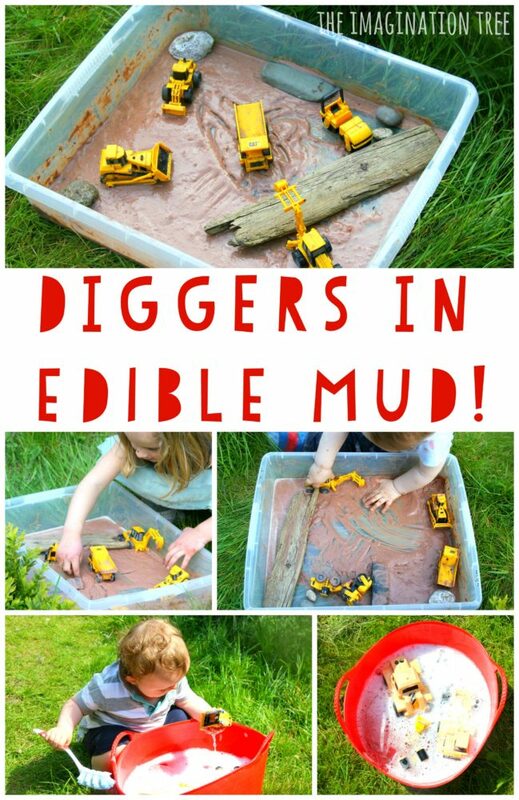 If you loved this diggers in edible mud sensory play then please consider sharing it! Thanks so much. « 30 Healthy Lunch Box Ideas: One for Each Day of the Month!